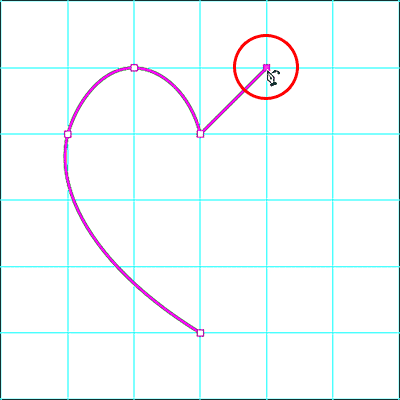 This tutorial shows you how to use the new Curvature Pen Tool in Photoshop CC 2018 to easily draw paths, and how to convert your path outlines into shapes, vector masks and selections. Follow along with this step-by-step guide. 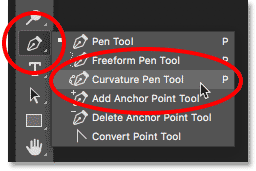 One of the biggest new features in Photoshop CC 2018 is the new Curvature Pen Tool. 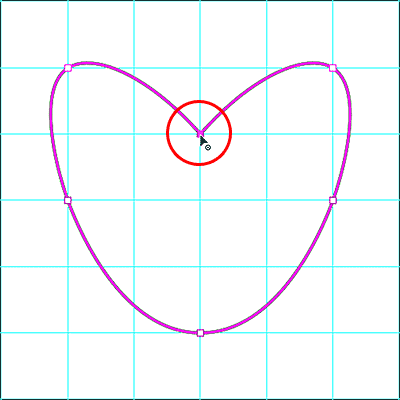 The Curvature Pen Tool is a simplified version of Photoshop's standard Pen Tool. 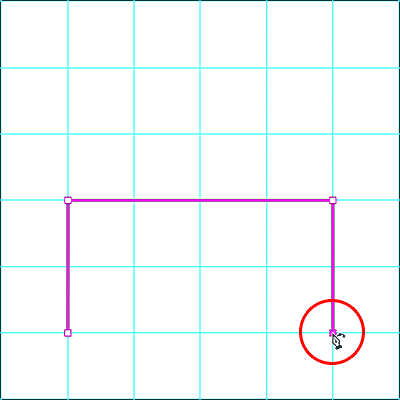 It lets us draw complex shapes and paths without the need to edit control handles or remember keyboard shortcuts. 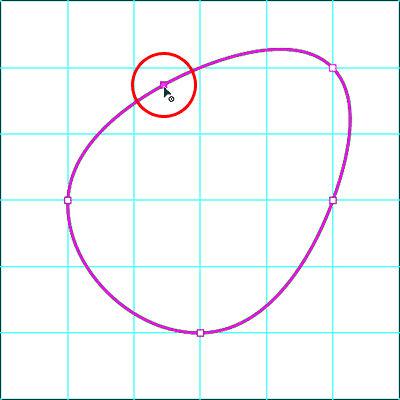 Using the Curvature Pen Tool is as easy as clicking to add points. Photoshop then uses those points to automatically draw your path. 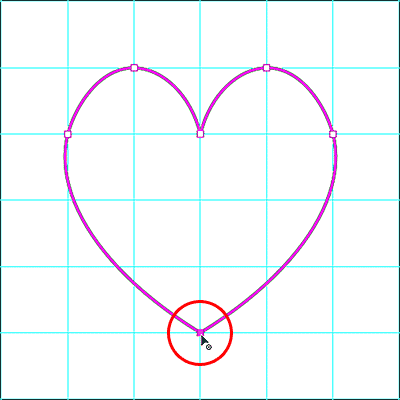 As its name implies, the Curvature Pen Tool draws curved lines by default. But as we'll see, it's just as easy to draw straight lines, and to switch between curved and straight lines as needed. 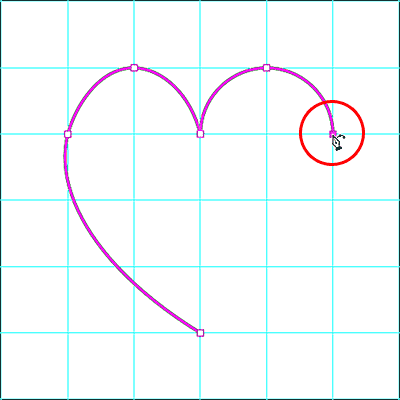 And like the standard Pen Tool, we can easily convert our path outlines into selection outlines, allowing anyone, even beginners, to make clean, professional selections in Photoshop. Let's see how it works! 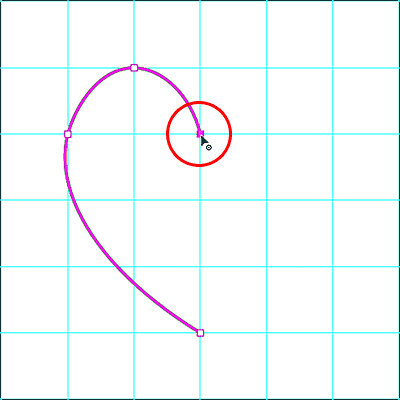 The Curvature Pen Tool is only available as of Photoshop CC 2018, so you'll need CC 2018 to follow along. If you're a Creative Cloud subscriber, you can learn how to update your copy of Photoshop to CC 2018 using our How To Keep Photoshop CC Up To Date tutorial. Let's get started! 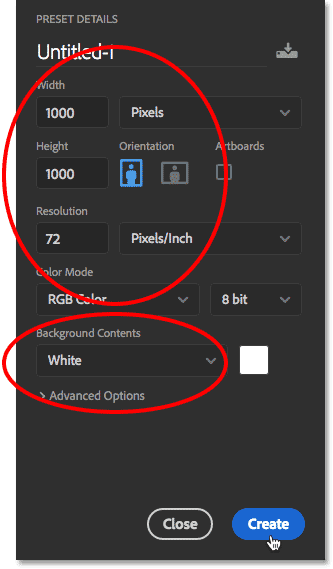 Setting the options for the new document in the Preset Details panel. Going to View > New Guide Layout. 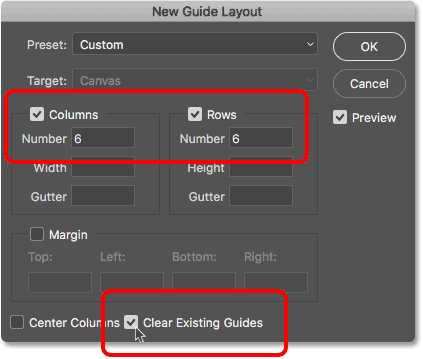 The New Guide Layout options. The guides now appear in the document. 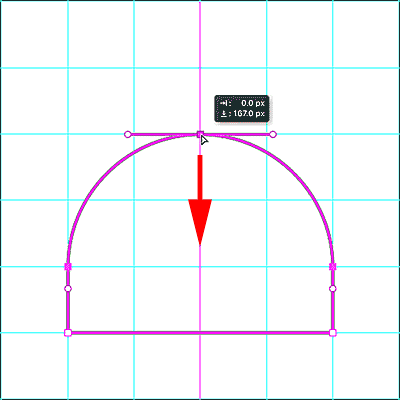 Selecting the Curvature Pen Tool from the Toolbar. 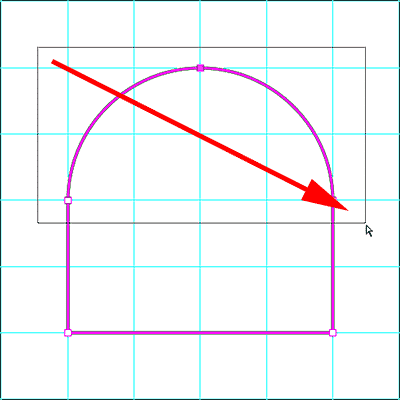 Don't see the Curvature Pen Tool in the Toolbar? Here's where to find it. Step 2: Set The Tool Mode To "Path" Or "Shape"
The Tool Mode option can be set to Path or Shape. Clicking to add a starting point for the path. 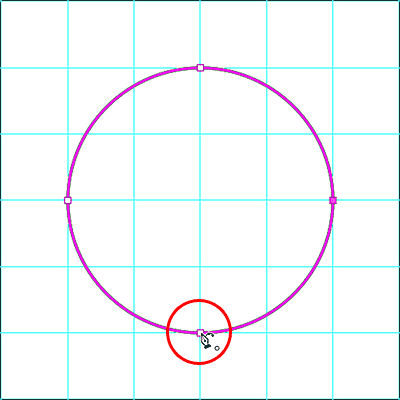 Adding a second point draws a straight line between the two points. 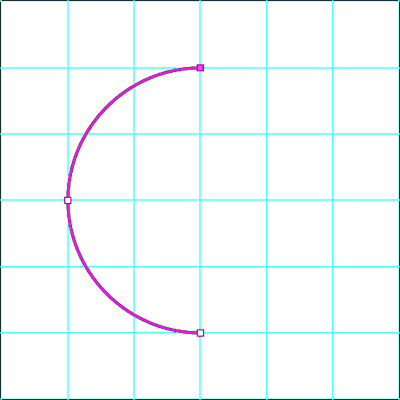 Adding a third point converts the straight line into a curve. 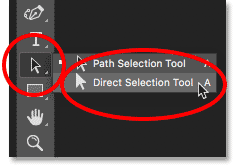 Clicking the gear icon to open the path options. 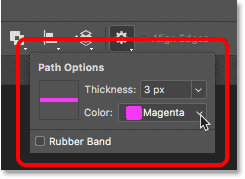 Change the thickness and color of the path in the Path Options. The path outline is now much easier to see. Adding a fourth point to continue drawing the curved line. Close the path by clicking again on the starting point. 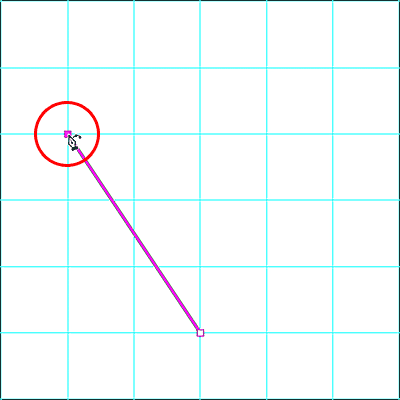 Clicking and dragging an existing anchor point. Adding a new anchor point by clicking on the path outline. Dragging the new point to reshape the path. Adding a new point at the top and dragging it downward. 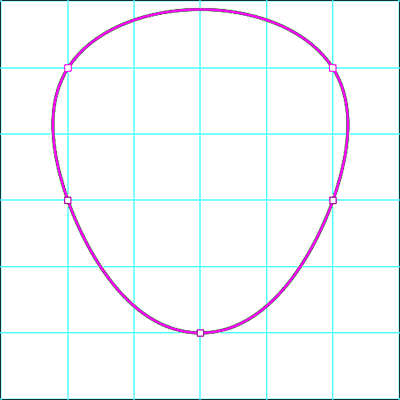 So far, all of the anchor points we've added with the Curvature Pen Tool have been curve points (also known as smooth points). 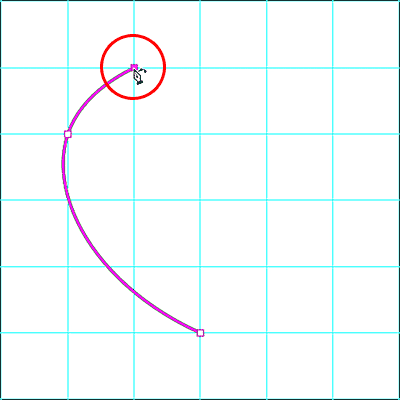 That is, the path outline curves as it passes through the point. 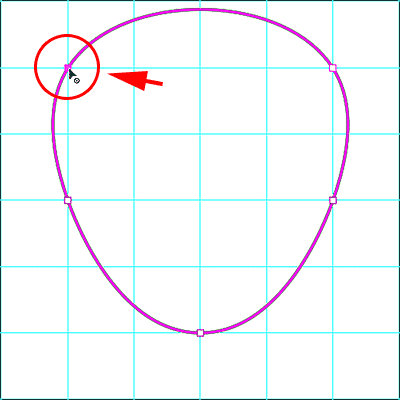 Another way to change the shape of a path is by converting a curve point into a corner point. 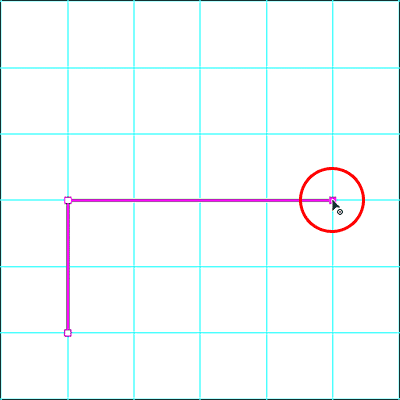 To switch from a curve point to a corner point, double-click on an existing curve point. 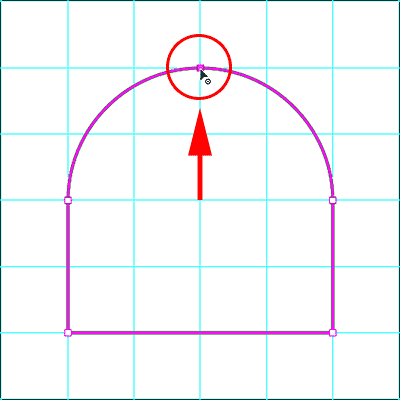 Double-click on a curve point to convert it to a corner point, and vice versa. To delete a point, select it and then press Backspace (Win) / Delete (Mac). To delete a path, right-click (Win) / Control-click (Mac) and choose "Delete Path". The path has been deleted. 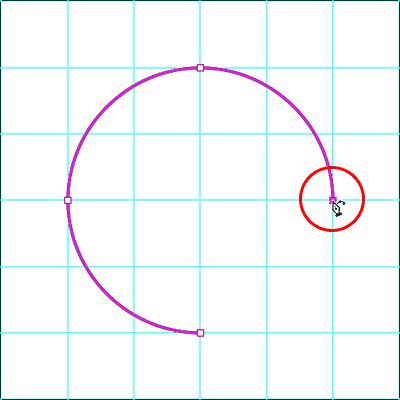 The main benefit of the Curvature Pen Tool is that it's easy to draw curved path outlines. But we can also use it to draw straight lines just as easily. 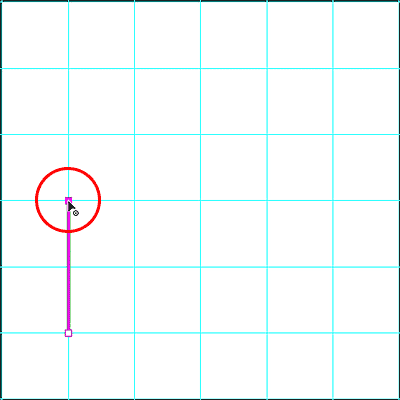 We've already seen that we can convert a curve point into a corner point by double-clicking on it. But if we know in advance that we need to draw a straight line, there's no need to draw a curve point first and then convert it. Instead, just double-click, rather than single-click, to add the new point. 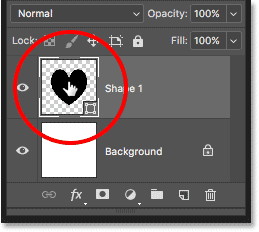 Photoshop will automatically add the point as a corner point. 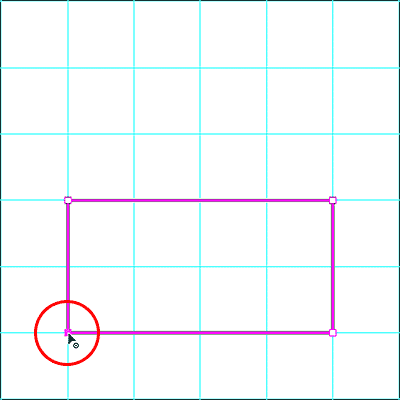 Clicking to set a starting point for the rectangular path outline. Double-clicking to add the second point as a corner point. Double-clicking to add the third point. Adding the fourth corner point. Double-clicking on the starting point to close the path. Adding a new point to the top of the path. Dragging the new point upward. Selecting the Direct Selection Tool from the Toolbar. Dragging with the Direct Selection Tool around all three points at the top. Reshaping the path by moving all selected anchor points at the same time. 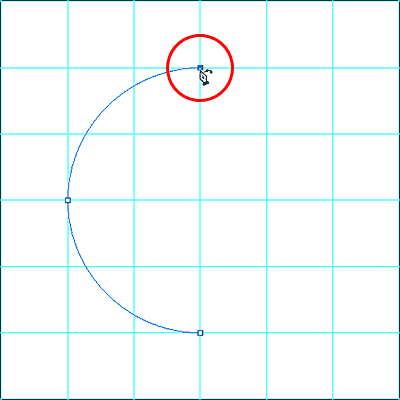 Reselecting the Curvature Pen Tool. Choosing the Delete Path option. 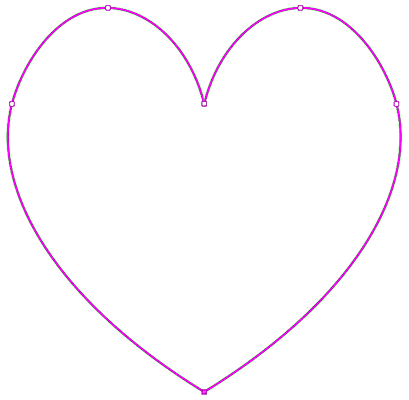 Finally, let's take what we've learned about curve and corner points and use it to draw a path in the shape of a heart. When we're done, we'll finish off this tutorial by learning how to turn the path into an actual shape, as well as a vector mask and a selection outline. Clicking to set the starting point for the heart. Clicking to add the second point. Adding the third point creates the curve. 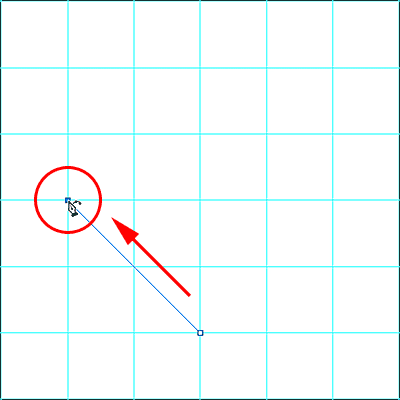 Adding the fourth point as a corner point by double-clicking. 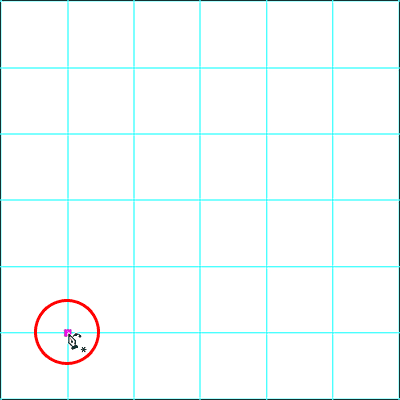 Single-click to add the fifth anchor point as a curve point. 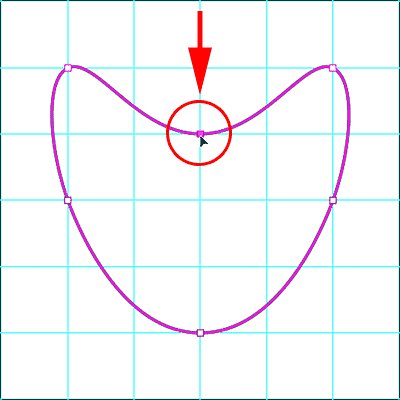 Adding the sixth point converts the previous straight line into a curve. 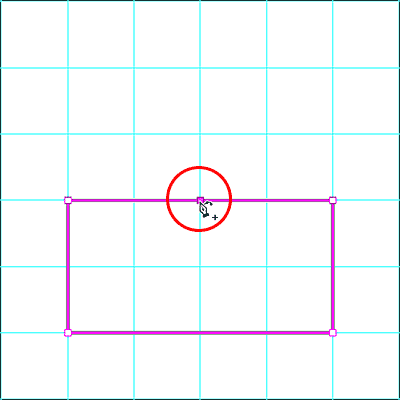 Double-click on the starting point to close the path with a corner point. Going to View > Show > Guides. 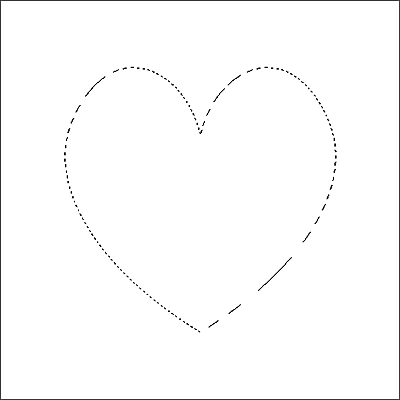 The heart-shaped path drawn with the Curvature Pen Tool. 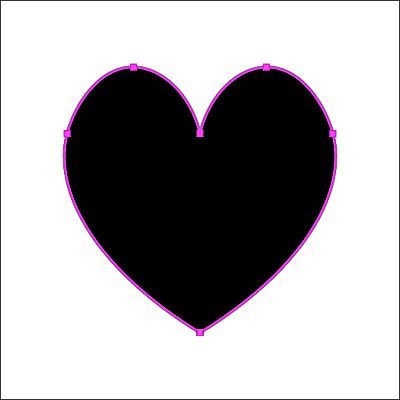 Use the Make option to turn the path into a selection, vector mask or shape. Choosing "Selection" from the Options Bar. 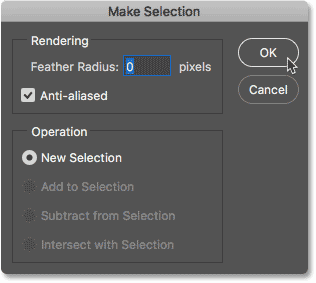 The Make Selection dialog box. 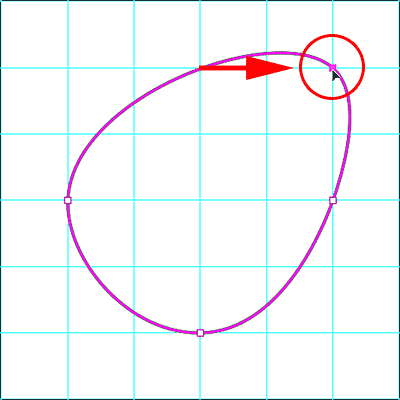 The path drawn with the Curvature Pen Tool is now a selection outline. Going to Edit > Undo Selection Change. 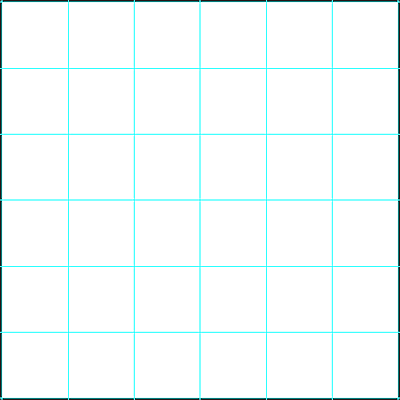 The path now appears as a vector mask, with only the area inside the path visible. 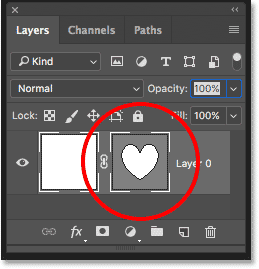 A vector mask thumbnail appears in the Layers panel. Going to Edit > Undo Add Vector Mask. Choosing "Shape" from the Options Bar. The path now converted into a shape. 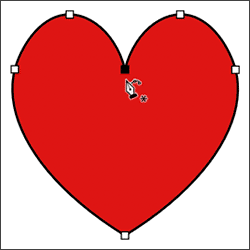 Double-clicking the Shape layer thumbnail to change the shape color. 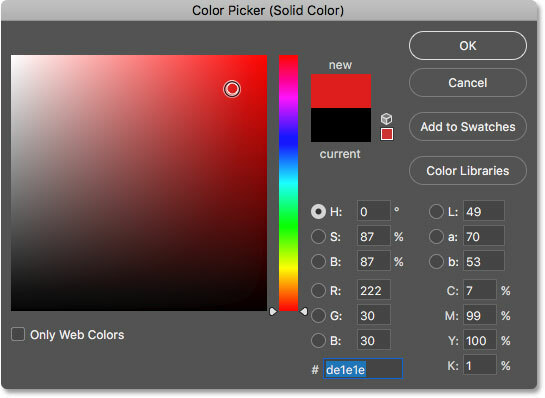 Choosing a different color for the shape from the Color Picker. 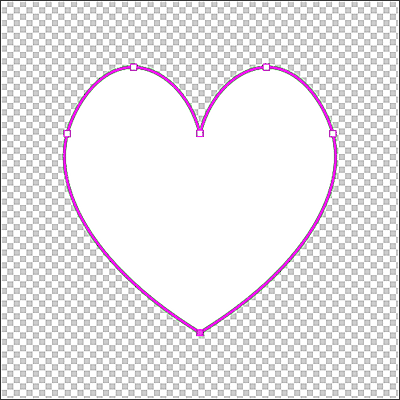 The red heart shape drawn with the Curvature Pen Tool. And there we have it! That's our step-by-step guide to drawing paths and shapes with the new Curvature Pen Tool in Photoshop CC 2018! Also check out the new Rich Tool Tips in Photoshop CC 2018. Visit our Photoshop Basics section for similar tutorials!